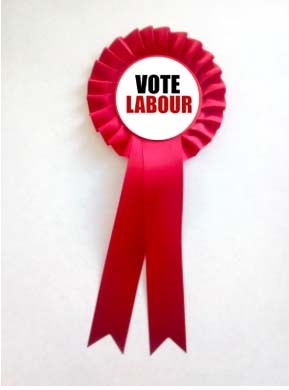 Red rosette: Vote Labour | Campaign! Red, single tier rosette. Prices includes postage and packaging. Click here for our custom-made rosettes.